With the first snowfall officially behind us it’s time to embrace winter by looking your best. Chances are good that your go-to investment pieces—wool suits, leather boots, cashmere sweaters—need some cleaning and rejuvenation. Salt stains and water damage are common during the winter months. To prevent them, spray a protective sealant on your boots and let dry before wearing them. If the boots already have salt stains, try spot cleaning. For suede, use a soft pink eraser. For leather, use a mixture of water and vinegar in equal parts to wipe the stain. If you want your leather boots to stay shiny, use alcohol-free wipes. But test the reaction first! If your boots are soaked, let them air dry. You can also stuff newspaper balls inside your boots to absorb moisture. Always hand wash your sweaters and lay flat to dry. Is your sweater stained? Soak your sweater for no longer than 15 minutes to loosen the stain, and proceed with hand washing. Are your sweaters pilling or snagged? Use a sweater comb for delicate sweaters and a fabric shaver or Velcro hair roller to remove pilling. Proper sweater storage is key: fold--do not hang! Hangers can cause stretching. If your coat is stained, blot right away away with cold water and an absorbent cloth. Remember: blot, don’t rub! To remove hair, dirt, and debris on your wool coat, use a natural bristled coat brush. Stay away from lint rollers please. If the zipper gets stuck, try applying a small amount of petroleum jelly or olive oil. It is advised to only wash your coat twice a year, and even then dry cleaning is preferred. If you do put it in the washer, add two tennis balls in the mix to prevent clumping. Use sturdy hangers for hanging heavy coats for proper storage. Keep machine washing down to a minimum--hand washing is preferred. If you do machine wash, do so once a month, or even just once or twice throughout the season. Use a salad spinner to remove excess water. 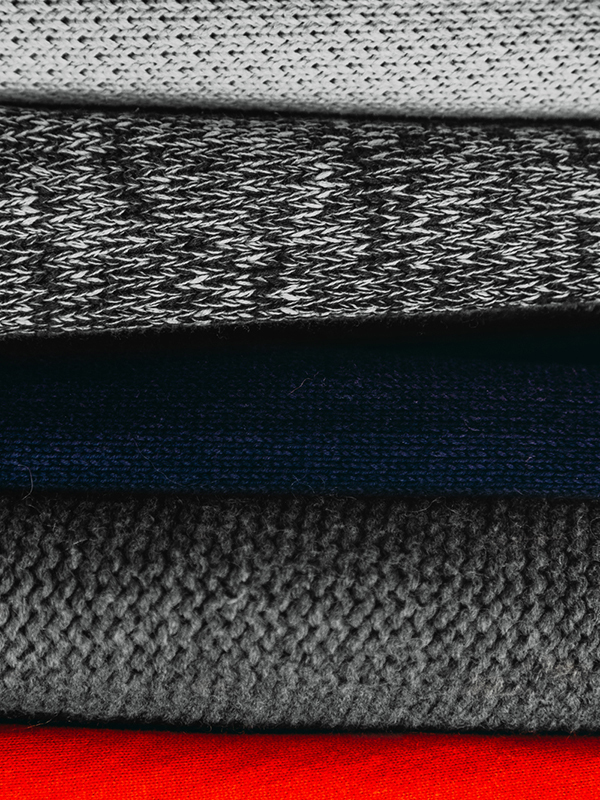 Hand washing cashmere clothing can make the material even softer over time and prolong the life of your garment. Stick to baby shampoo or mild detergents when you wash cashmere. Keeping these tips in your back pocket will ensure your winter garments stay protected and well cared for. You’ll be happy when the first snow begins to fall and you can meet your winter clothes again.